The Ashburton Singers presented a programme of ballads and folk songs arranged for choir by Vaughan Williams, Holst and Stanford, including the well-known Northumbrian songs Bonny at Morn and Dance to your Daddy, the stirring Irish ballad The Sword of Erinand the lovely Cornish tune I love my love. Also on the programme, in an arrangement by the Hungarian composer Matyas Seiber, were Yugoslav folk songs depicting a fairy-tale rose growing in a green mountain valley and the horsemanship of the dashing Hussars. Veljo Tormis, the celebrated Estonian composer, wrote choral works based on the folksong and poetry of languages that are now disappearing or extinct. His mesmeric and unusual settings are instantly appealing. In the programme were Estonian Wedding Songs, Roundelay and Russian Sailor’s Song. 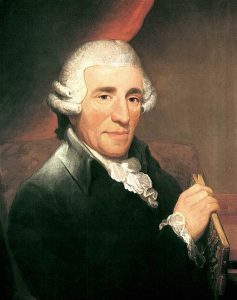 Haydn’s Missa Brevis Sancti Johannis de Deo, known as the Little Organ Mass, was composed in the mid-1770s for the Brothers of Mercy who ran the hospital in Eisenstadt, where Haydn lived while employed by Prince Esterhazy. Intimate and short, with some movements less than a minute long, this cheerful work is full of expressive melody and quiet reverence. It is scored for solo soprano, a four-part choir and modest orchestra with an organ, which has a charming solo in the Benedictus. A feminine perspective can be felt in Rheinberger’s dramatic and heartfelt Stabat Mater. Rheinberger’s music stands firmly in the line from Bach, Haydn and Beethoven, and his style is characterised by flowing melodic lines and the expressive use of harmonic colour. The Ashburton Singers warmly invite you to raise your voices with choir and organ in several well-known Advent Carols during our concerts of varied and evocative music for Advent. 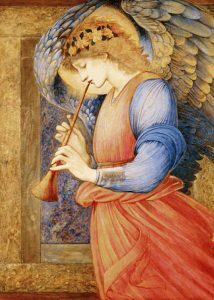 Composers and musicians have for centuries found inspiration in the seasonal texts of Prophecy and the Virgin birth and consequently there is a wealth of magnificent music in which to celebrate this time of year. The Singers present a programme of European sacred music, both accompanied and unaccompanied, from the sixteenth to twentieth centuries accompanied on the organ by Stephen Tanner. From the joyful “Angelus ad Virginem” in a lively setting by Andrew Carter to the contemplative “How beautiful upon the mountains” by John Stainer, the concert includes music by the German Renaissance composers Michael Praetorius and Johannes Eccard and hymns to the Virgin by Arvo Part and Sergei Rachmaninov. Interval refreshments include mince pies, mulled wine and mulled apple juice. 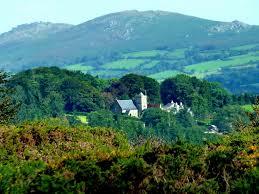 This summer the Ashburton Singers will be taking their summer concert of sacred and secular music on tour to some of the most interesting and beautiful churches in the area. The Ashburton Singers are delighted to be taking part in this celebration of the many and varied amateur choirs singing in and around Ashburton. In this year, the 400th Anniversary of Shakespeare’s death, The Ashburton Singers present a concert of songs from the plays, and music inspired by Shakespeare’s words.